ad broad: how does a nice kid like you end up in advertising? I learned quickly to bite the bullet and buy spray mount. Those rubber cement mounted pieces got nasty looking fast. Plus, I came from the era when people wanted to know if you could sketch with markers, so some of that was in there. My friend's boss looke at a website I did and hired me from that. first over the web. then i had to go in face to face to show my book (very expensive) and to prove that i was not crazy. ps thanks for the kind remarks. i enjoy your blog as well. obviously. Not a young kid, but a creative director who views and hires. I rarely see physical books anymore. It’s almost a turn-off, as it shows someone is not in step with the times. I usually see pdfs or work online. 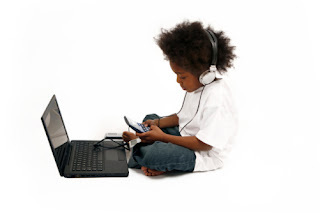 Kids today either have their own sites or minimally post via places like Creative HotList. But if you have your own site, it better be easy to navigate. Even DVDs are becoming a little dated. USBs are OK, but kinda pricey. I think people today need to make their work accessible to lots of people, and I would prefer NOT having some hard copy that sits on my desk taking up space (and occasionally gets lost). working on a site right now for my spec book. as a writer, it's been a crash course in art direction and web design. luckily, my gracious AD friends are happy to critique my work and offer suggestions. i also find myself following the various ad blogs (visiting this one first of course), as well as the more mainstream outlets of industry news, all in an effort to see who is hiring, where they are hiring and why they are hiring. my website should contain about seven campaigns (not all print), my resume, and possibly a blog so i can sell myself instead of my lovely fake campaigns. also, if i may ask, what desktop resolutions do most agency machines run? so that i can avoid smacking someone (maybe you) in the face with something a copywriter art directed. How about you, ad broad....what form was your first book in? @anonymous #1--congrats! Must have been a great site, given how many others you are up against these days. @shaun--interesting that though you had a site, you STILL had to have a book. But guess the investment was worth it. Glad you were able to fake normal in the F2F, ha. 72dpi is the standard resolution, which covers you in the event that you’re also dealing with HR wonks on PCs. If you create pdfs, shoot for smaller file sizes to reduce the chance of people being unable to download, open or receive it. Most people expect your book to be filled with spec. Copywriters do get a little leeway in terms of the ad layouts, but realize that most copywriter books—especially from portfolio school graduates—look slick. You should always think visually, as that’s ultimately part of your job. How to Put Your Book Together and Get a Job in Advertising by Maxine Paetro. I'm a planner, but I showed my portfolio on picasa. @highjive--thank you for answering the question this CW was too inept to grasp. (What a vacant, sorry world it would be without Art Directors.) Also-thanks for the reading list, agreed-great recommendations. In that order. @sam--now PLANNERS have to show portfolios, too?? I guess it makes sense, but...What's next- Account Execs having to prove they can tap dance? 11 x 17, leather, screwpost. I had 21 individual pieces. but i prefer the screw post as I can add and take away as needed. on a side note...i also noticed that people liked seeing that a wanna be junior took time to have a ultra nice put together book. i tihnk its appreciated. ps I was trying to land a job as an AD si really valued the way my book looked. Ive seen writers do the same as me, less (kinkos mini books-THE WORST! ), and more (metal boxes with there work mounted on individual boards). @shaun, thanks for getting back with this helpful info. Writer may want to contact you. Would that be OK? If so, how? Email me madbroad@gmail.com or DM Adbroad on twitter. First book was spray mounted, everything 8 x 10 in a portfolio. Next bunch were laminated. What an expensive pain that was, unless you could get the agency to pay for it (usually meant befriending the account or production guys). Some people would mount all their ads onto giant (24 x17?) boards before getting them laminated. It looked really nice, but was usually a sign the book sucked. Finally now have everything on my own web site. Which I much prefer, since I can add commentary to flesh out both the campaign and my personality. To HJ's point, as a CD, simple web portfolios are always best: I don't have time for flashturbation and the fact that you found a flash designer to do your book for you doesn't really impress me. I did my whole site myself on iWeb, so I can make updates on the fly- another big plus. I wish junior books weren't so slickly produced these days- it's hard to tell how much of the work is the writer or art director's and how much is the photographer/designer. The other great thing about a website, versus an actual book, is that you can send it to many places at the same time-- instantly, never worry about losing it or retrieving it, and everyone gets the updates instantly too. @alan--thanks for weighing in. Interesting point you make about slickness of jr. books making it hard to determine level of talent. I use iweb, too. Though must confess I do NOT find it as easy to edit as you do. On the fly? I update mine on the crawl...Good point, too, about being able to send out lotso virtual books at once. I remember the onerous and very expensive process of having to assemble TWO handheld books so you wouldn't be caught out if someone kept one too long.